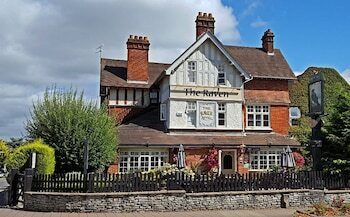 When you stay at The Raven Hotel in Hook, you'll be within a 10-minute drive of Odiham Castle and West Green House Garden. The front desk is staffed during limited hours. Free self parking is available onsite. With a stay at Destiny Scotland - St. Andrew Square Apartments in Edinburgh (New Town), you'll be a 3-minute walk from Scott Monument and 6 minutes by foot from Princes Street Gardens. With a stay at Harrogate Elite Living in Harrogate, you'll be within a 10-minute walk of Turkish Baths and Health Spa and Harrogate International Centre. Free self parking is available onsite. Located in Inverness, Caberfeidh B&B is a 2-minute drive from Eastgate Shopping Centre and 7 minutes from Inverness Castle. Free self parking is available onsite. With a stay at Coach House Hotel in Royston, you'll be within a 15-minute drive of Imperial War Museum Duxford and Sawston Hall. Free self parking is available onsite. With a stay at Fayvan Apartments, you'll be centrally located in Whitby, within a 10-minute drive of Whitby Abbey and Yorkshire Moors. With a stay at The Hayloft and Stables at Greystones in Newark, you'll be 13.9 mi (22.4 km) from University of Lincoln and 14.5 mi (23.3 km) from Lincoln Castle. Free self parking is available onsite.